A fresh and healthy snack. The Chiptwister is a potato that is freshly turned into a spiral shape. After that the Chiptwister is fried briefly so that the potato becomes crispy. The nutrients and flavors in the potato are thus preserved optimally. Finally the Chiptwister is sprinkled with one of the five flavor mixes from which the guest can choose. The Chiptwister is served warmly and with a smile and eaten out of hand from a stick. Chiptwisters are baked in 100% vegetable oil wherein no other snacks are baked. 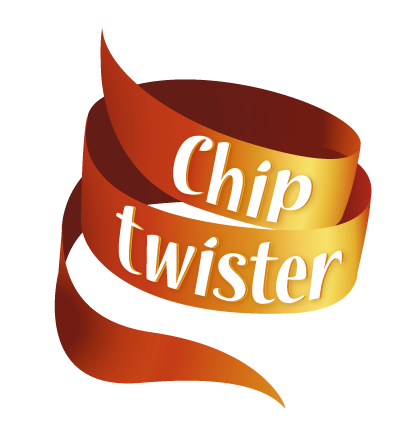 The Chiptwister is therefore gluten- and nut-free and has no traces of shellfish and crustacean. A unique bland of all our tastes.